Peroba is proud to be a part of the reclaimed and salvage wood industry breaking the cycle of waste. We only have one planet, let's do our part to preserve it. Peroba provides unique and high-quality reclaimed hardwood, softwood, and reclaimed wood products. Our reclaimed wood products offer both aesthetic and environmental advantages. We focus our efforts on preserving the world's forests by countering the demand for new wood. Reclaiming wood breaks the cycle of waste by diverting millions of tons of wood from landfills, burn piles, and the world’s waste streams. Our reclaimed products are post-consumer reclaimed, that is wood reclaimed primarily from old building structures, usually 70-200+ years old. Reclaimed wood has distinct variability in color, grain pattern and other characteristics. The marks of previous use help tell a wonderful story of sustainability. 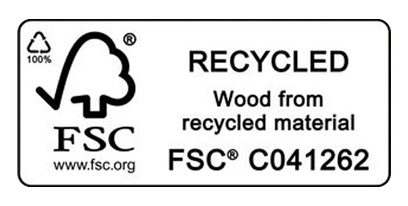 Most of our post-consumer reclaimed products are 100% recycled and FSC certified. Peroba live edge wood slabs and rough sawn lumber are sustainably sourced and come in a wide variety of shapes and sizes. Our live edge slabs usually have one or two natural or live edges and can vary from 6″ to 60″ wide. Most of our hardwood and softwood slabs are sourced from local urban areas. We also love to salvage logs from underwater, otherwise known as sinker logs to create truly unique slabs and rough sawn lumber. Species: Black (Claro) Walnut, White Oak, Red Oak, Old Growth Redwood, Sinker Redwood, Sinker Cypress, Cedar, Madrone, Soft Maple, Hard Maple, White Birch, Hickory, Honey Locust, Juniper, Ash, Cherry, Bay Laurel, Nutmeg, Douglas Fir, Sycamore, Teak Butternut, White Walnut, Black Acacia, and Willow. We work with designers, architects, manufacturers, residential and commercial builders. We also provide consulting, design and build services. Contact us today and let’s discuss your design, your project and your vision!